It’s a stroke of genius. Identify what hits a chord with the population, and whether your words and images are factual or not, pound them into the psyche of the masses. It’s a model used throughout the ages with more devastating consequences in the 20th century than any other. Most notably Hitler’s Nazi party which preyed on the economic misfortunes of the populace to assign blame to anyone they felt would stand in the way of their agenda, or even worse, use a scapegoat to rally strong support. 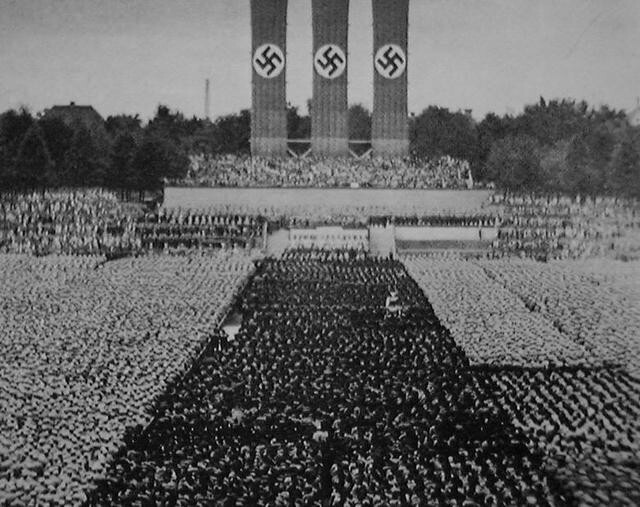 By the time throngs of people were shouting Heil Hitler, most of them were just spewing out structured opinions and no longer thinking for themselves. Which is in many ways what it is all about. Many people, whether they wish to admit it or not, feel comfort and security in allowing leaders to choose their path. It’s the draw of religion. A friend of mine once told me, people buy with emotion and then justify it with logic. Tyrants and dictators are selling a product, and when people are downtrodden and desperate they’re buying that product. People who like their life may protest, and may even have opinions laced with hate, but they hardly ever commit acts of violence in the name of civil disobedience. What Hamas is doing is following a model, and doing so with precision tactics. Their biggest advantage is also their biggest deception. They are not in it alone. Backed by Iran, a nation that was taken over in 1979 by Ayatollah Ruhollah Khomeini, a man who used the same model to rally enough of a nation behind him to take over a government and start a global revolution, Hamas is a microcosm of a much bigger threat. That bigger threat is one the world needs to be aware of, but won’t be as long as those most threatened appear to be mostly from one group. That one group is the same group initially targeted by Hitler. The Jewish people. Yes there were others the Nazis hated and persecuted almost immediately. Homosexuals, gypsies, Poles, were all hated by Hitler, but from the start the Jews were the cause of everything bad in Germany. They were called subhuman, a word that popped into my head earlier when seeing how the United Nations Human Rights Council showed its usual disregard for the human rights of the inhabitants of the Jewish State of Israel. But maybe they see Jews as subhuman too. It just doesn’t support their current agenda to admit it. The lesson of previous models, specifically of World War II should be obvious. To some it is and yet they choose to disregard it. To others, those caught up in the fervor of Hamas propaganda, they have bought into the mass hysteria often created by evil dictators, and in doing so they are doing what was done before, go after the scapegoat, which once again is the Jewish people. Although it seems to be easy to let others think for you, they are making the same tragic mistake. They do not see that which has always been the case when following this model, that the goal is world dominance. Ultimately that means there is no room for any major group of people with different ways of thinking, as already evident by the way Christians have been brutally murdered in places like Iraq and Nigeria . If the right people with the right amount of power wake up to the true dangers facing civilization, a full-scale World War III may be averted. If they don’t, and continue to get caught up in the hysteria of lies and deception, civilization as we know it is in danger. It’s that horrifying, that deep, that simple, and yes, just a matter of time. Let’s hope people study the model and learn from history. This entry was posted on Wednesday, July 23rd, 2014 at 9:33 pm	and tagged with Ayatollah Ruhollah Khomeini, Christians, Germany, Gypsies, Hamas, Heil Hitler, Hitler, Homosexuals, Iran, Iranian revolution, Iraq, Jewish people, Nazi party, Nazis, Nigeria, Poles, propoganda, State of Israel, subhuman, totalitarianism, UNHRC, United Nations Human Rights Council, World War II, World War III and posted in Uncategorized. You can follow any responses to this entry through the RSS 2.0 feed.